The Idol 4S is no slouch, but is no match for the stiff competition at this price point. 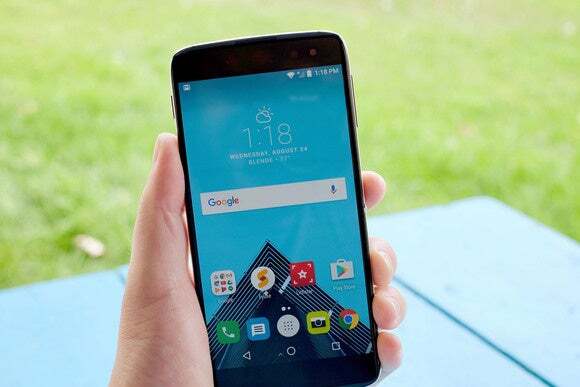 Alcatel has made a name for itself selling phones that won’t drain your wallet, while at the same time walking the ultra-fine line between affordability and providing a valuable experience. 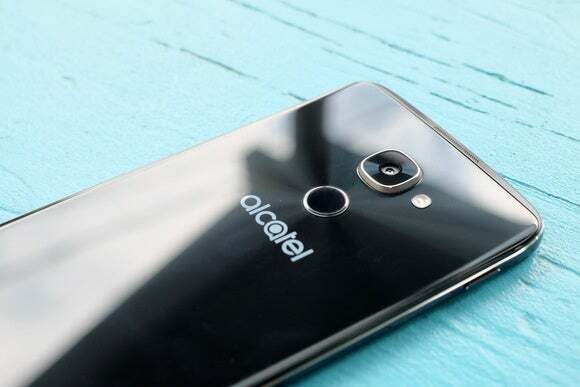 With the Idol 4S, Alcatel has priced itself alongside other "premium-but-affordable" phones, competing with the likes of ZTE’s Axon 7 and the OnePlus 3. 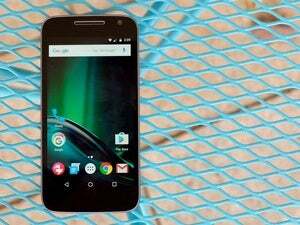 Both are really good phones, easily capable of challenging flagship caliber phones. The Idol 4S is no slouch, but amid stiff competition at the $400 mark, does it bring enough to the table to keep pace? Let’s take a look. 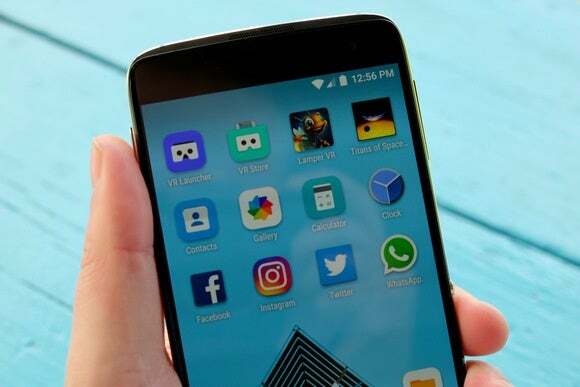 Alcatel wants you to bring the Boom with its programable shortcut button on the Idol 4S. 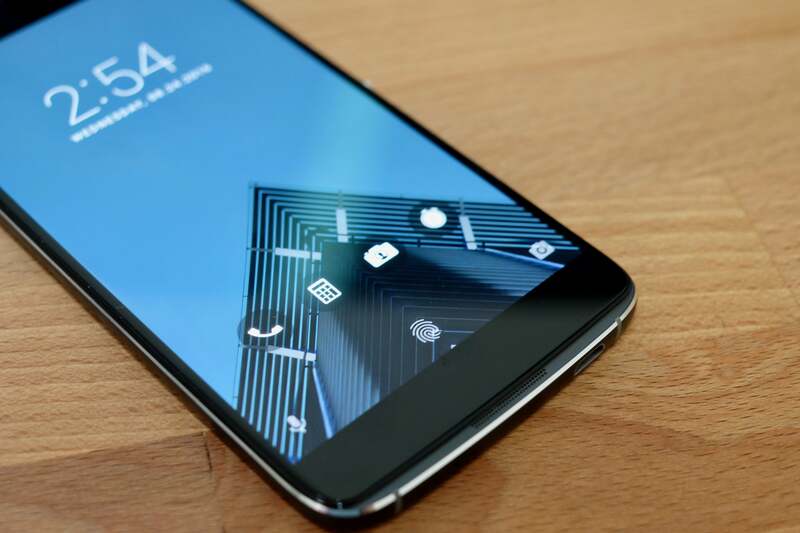 Sandwiched between two slabs of glass, the Idol 4S boasts a 5.5-inch quad HD AMOLED display. Alcatel is pushing the Idol 4S as a phone first, VR device second, meaning the display quality is naturally one of the more important aspects of the phone. It’s easily viewable in direct sunlight (a feature on any phone I truly love), with bright and vivid colors throughout. Powering the Idol 4S is Qualcomm’s Snapdragon 652 processor, 3 GB of memory, and 32 GB of storage. You can add up 200 GB of additional storage through the microSD card slot, which pulls double duty as a second SIM card slot for globetrotters. The Idol 4S easily handled any task I threw at it. Whether I was playing Asphalt 8 or jumping between Slack and Twitter, the device never showed any true signs of slowdown or performance issues. Battery life was more than enough to get through a full day — free of any VR sessions, of course. The microUSB port on the bottom of the device adds support for Quick Charge, should you need to top off after a long day of work. On the right side of the phone you’ll find the volume keys and a small, round button Alcatel is calling the Boom key. You can assign various shortcuts or tasks to the Boom key, such as automatically snapping a photo when your phone is locked. On the left side is the SIM card and microSD card holder, along with the power button. The fingerprint sensor on the Idol 4S needs a more distinctive feel to it, right now it just blends in. Because nearly the entire housing of the phone is made of glass, it’s one slippery device. The kind of slippery that when placed on the arm of your couch, it will slowly (and creepily) slide down until it lands in your lap or hits the floor. Slipperiness aside, my biggest complaint about the overall design has to do with the fingerprint reader on the back of the phone. Its circular housing sits below the camera, with a small ring surrounding the reader. I cannot, for the life of me, consistently find the fingerprint reader as I pick the phone up off my desk or remove it from my pocket. Often I would have to first find the protruding camera lens, and then begin moving my finger down slightly until the phone unlocked. Whereas on other devices with similar placement of the fingerprint reader, such as the Nexus 6P or Nexus 5X, I was able to find the fingerprint sensor with little effort thanks to a very distinct ring around it. Adding to my frustration, the fingerprint reader had a hard time recognizing my fingerprint. Part of the blame could easily go to misplacing my finger on the reader due to discoverability issues, but the problem was remedied after registering each index finger twice. Quick, customizable app shortcuts on the lock screen of the Idol 4S are convenient. My review device had Android 6.0.1 with the August security patch installed out of the box. Alcatel doesn’t take a heavy hand in terms of customizing Android with its own skin, but there are noticeable tweaks here and there. The lock screen, for example, has four customizable app shortcut icons. Double-tap on an icon and you can begin navigation home, turn the flashlight on or off, or open an app of your choice. Also, folders have this amusing unfolding animation when you open them. Because the phone is sold unlocked and free of carrier interaction, it’s free of carrier bloatware and unnecessary apps. Well, for the most part. Alcatel does preload a few apps. Fyuse and Littlstar are front and center on the main home screen. The former is a name I have no idea how to pronounce, but offers a fun and interactive way to view a specialized photo you can take within the camera app. I had a lot of fun playing with Fyuse (Is it fuse? Maybe. ), using it to create 3D scans of objects. Once the scan is complete, you can swipe or tilt the phone to rotate the photo’s viewing angle. The Fyuse app provides a means for sharing said photos. Littlstar is a full of VR and 360-degree videos you can watch using Alcatel’s headset. 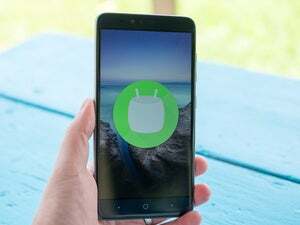 Overall, any changes Alcatel made to the core Android experience were beneficial. 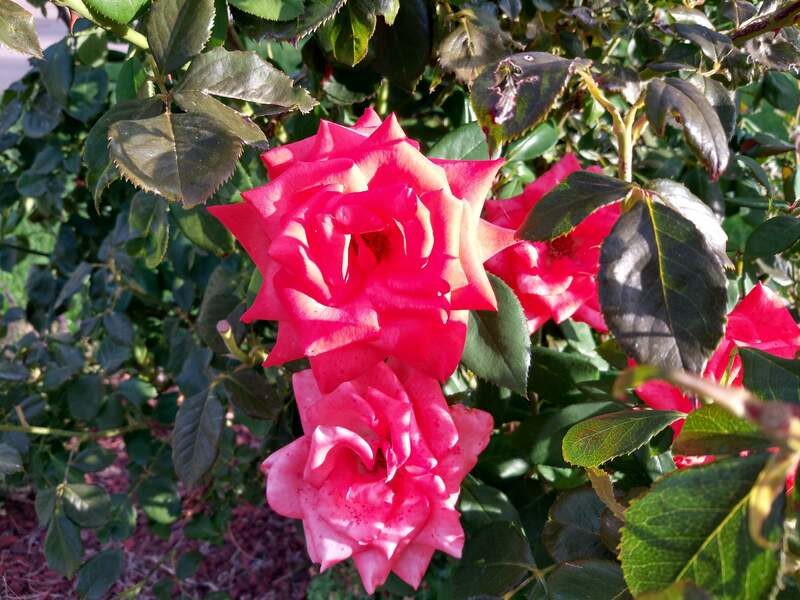 In what should have been a beautiful shot of a rose on an early summer morning, the Idol 4S blew it. With a 16-megapixel camera on the back, and an eight-megapixel selfie-loving camera on the front, the Idol 4S is a well-equipped shooter. In ideal lighting, that is. From what I experienced, and as you can see above, the Idol 4S has a tendency to blow out exposure and oversaturate colors in strong lighting conditions. Look at the rose towards the bottom of the photo, and can see how it’s covered in just a tiny bit of shade and yet the colors and exposure look slightly better. When lighting conditions were just right, the camera on the Idol 4S does not disappoint. However, when you capture a shot on normal lighting conditions, the Idol 4S captures good enough photos for Facebook or Instagram. I mean, just look at my dog. 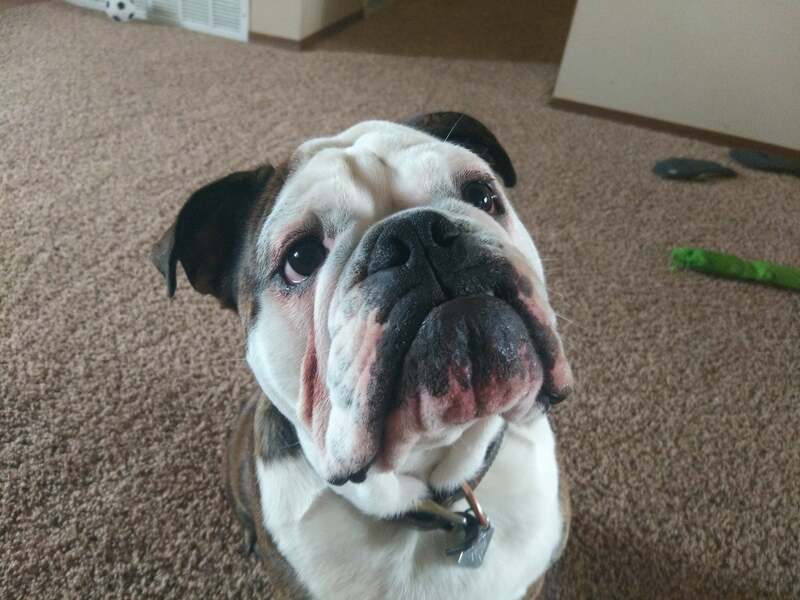 Doesn’t he look amazing!? Frustrations about inconsistent photo quality aside, the camera app is fast to focus and the shutter doesn’t have a delay as is often the case with mid-range phones. And as I just discussed, the Fyuse integration is a ton of fun to use and experiment with. 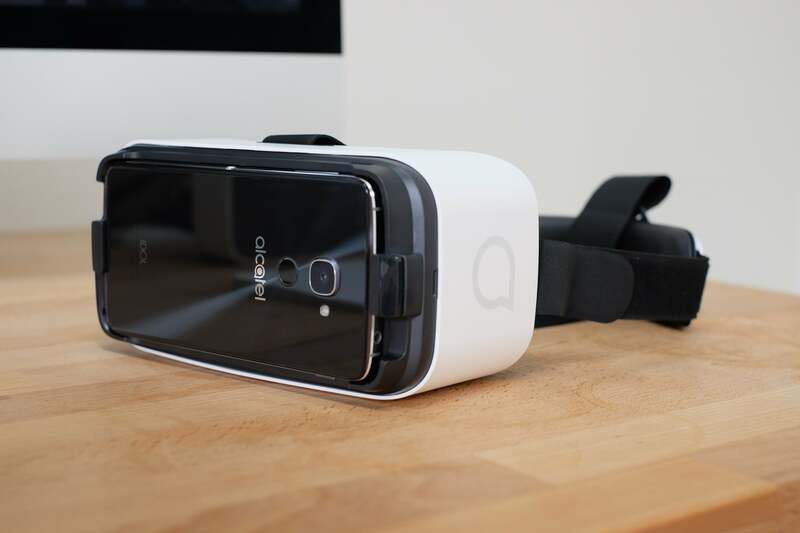 Think Alcatel’s VR headset as a more robust version of Google’s Cardboard headset. It’s clear from the moment you remove the Idol 4S from the box, in which a VR headset is tucked directly behind it, Alcatel really wants you to use the phone to experience virtual reality. Then you power up the phone and there’s a smattering of VR apps and games already installed, reinforcing the message. The headset itself vaguely resembles Samsung’s Gear VR, only it lacks any sort of electronic components inside. Essentially, Alcatel’s VR headset is a plastic, more reliable version of Google’s Cardboard headset. There’s a back and a select button on the bottom of the headset for interacting with what’s on screen, and that’s it. The VR experience wasn’t something I could test for long stretches before nausea took hold. But I did ask my kids to take it for a spin on a few occasions, which resulted in a lot of oohs and ahhs on their part. For the short durations I did use it, the tracking seemed to do a fair job of keeping up with where I was looking and the overall experience was smooth enough. Not as smooth as Samsung’s Gear VR (which also makes me sick, by the way) but that’s to be expected. Alcatel preinstalls a few VR apps, including its own launcher for the headset to get you started. Neither the OnePlus 3 or the Axon 7 include a VR headset, but both are more powerful on the spec sheet and in the hand. Not to mention the Axon 7 is Daydream-ready, or will be, whenever Google gets around to launching its VR platform and the phone gets its update to Android 7.0 Nougat. If the Idol 4S would have stayed at its $350 pre-order price, this would be a lot easier to recommend. That extra $50 makes a big difference, though, and right now there are better devices for the same amount of cash. This story, "Alcatel Idol 4S review: Just a bit too late to the $400 party" was originally published by Greenbot. Alcatel did a bang up job on the Idol 4S, but ultimately there are better phones for the same price.